Event marketing remains a valuable tool for brands, especially as high-growth companies are increasing their event investments. More than 90 percent of companies consider hosting events for customers and prospects as a priority, according to new research from the Harvard Business Review Analytic Services and software company Splash. Also crucial for companies is being able to accurately connect events to concrete revenue by using event marketing platforms. "With the rise of event investment and maturation of technology, it is now completely unacceptable to report on anecdotal results," said Ben Hindman, CEO of Splash, New York. "Today, events are no longer unquantifiable — they’re now as measurable as digital marketing and they are tremendously more effective." Survey results were based on responses from more than 700 enterprise executives. HBR found that 93 percent of marketing executives surveyed make event hosting a priority, and 85 percent also prioritize event sponsorships. Each year, these companies host an average of 73 events while sponsoring another 62 occasions. Although the majority of respondents, 52 percent, believe that event marketing drives more business than other channels, only 23 percent admit to being able to calculate event ROI. A third of companies spend more than 20 percent of their marketing budgets on events. Organizations that have seen more than 30 percent revenue growth in the last three years spend more on events than those who have seen between 10 to 30 percent growth. "This best-in-class group measures their events at every stage of the funnel," Splash's Mr. Hindman said. "They invest in a variety of event types and are now doing more hosted than sponsored events." The most popular events vary based on a company's business goals, but 54 percent host single-day conferences or seminars and 34 percent host their own trade shows or conventions. More than a third, 36 percent, have hosted influencer or press events with an additional 23 percent having sponsored those types of gatherings. More than half of respondents do track some event metrics, with 64 percent taking note of the number of attendees and 56 percent tracking qualified sales leads. However, only 40 percent tracked social media mentions and the volume of sales generated while 35 percent of respondents answered that they did not know what metrics, if any, were tracked. Organizations that incorporate the use of event marketing technology are better able to track metrics and ROI. Those companies also see improved attendee experiences and increased productivity. 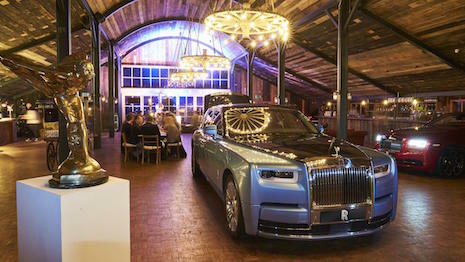 Luxury brands host or sponsor upscale events for product launches, influencers, pop-ups and more. For its 20th anniversary, LVMH’s Sephora is celebrating with a series of initiatives indicative of the Sephora strategy, a true omnichannel commemoration. A two-day long event will usher in Sephora’s 20th year in October, with beauty fans in Los Angeles invited to play in what the retailer is calling its SEPHORiA. With the theme of “House of Beauty,” guests will be able to interact in different rooms with products and digital initiatives. Sephora ambassadors, influencers and expert staff will be on-site at its SEPHORiA location to lead guests in a series of experiential and customized activities. More than 50 brands sold at Sephora will also be included in the celebration (see story). Later this fall, Italian fashion label Prada is teaming with the Yale School of Management and Politecnico di Milano School of Management to explore how digital intersects with sustainability. On Nov. 28 in Milan, Prada will gather executives and students for a “Shaping a Sustainable Digital Future” conference. This is the second of Prada’s future-focused events, as the brand seeks to create a conversation around sustainability (see story). "Every business is different and the best event marketers know guests engage in different ways and each event type produces different results or outcomes," Mr. Hindman said. 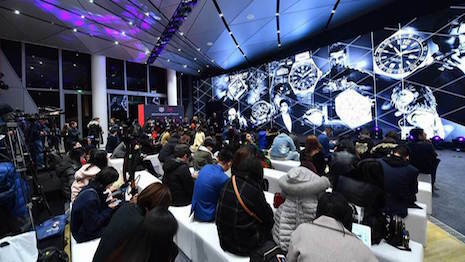 "With this understanding, luxury brands should track and measure their success at every touchpoint of the event lifecycle — before, during and after the event — then continually optimize and iterate their own event strategy for maximum ROI."